Want it by Tuesday 30th April? Order within 2 days, 19 hours, 20 minutes and choose Next Day Signed For (Special Delivery) at checkout. 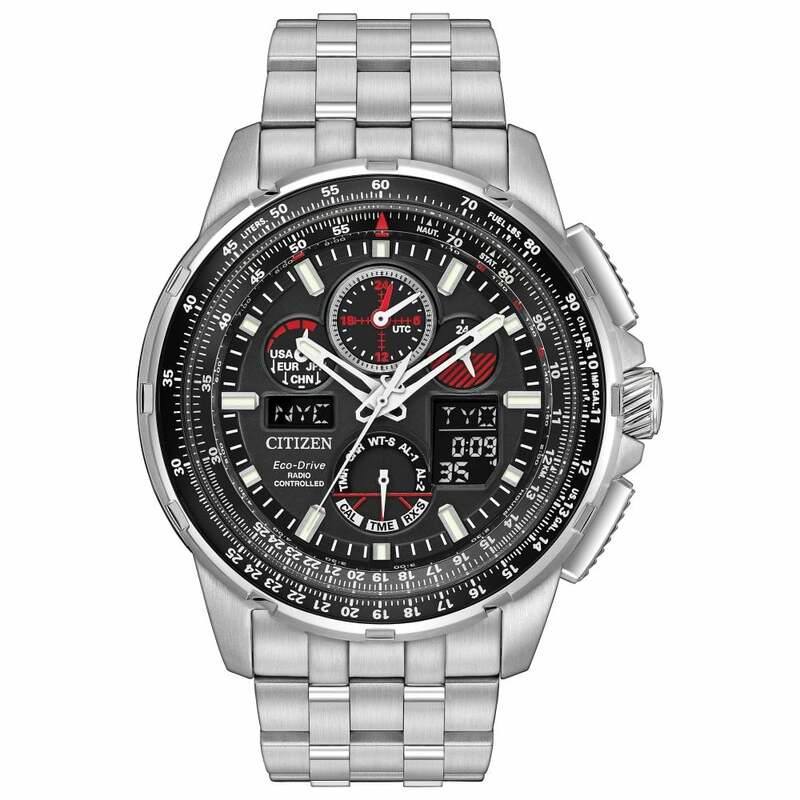 Gents Citizen Skyhawk A-T Eco-Drive watch with a stainless steel case and bracelet, black dial with digital display, perpetual calender, radio-controlled world atomic timekeeping, 1/1000 second chronograph, multiple alarms, power reserve indicator and comes in official Citizen packaging and a 5 year international guarantee, which can be extended by an extra year through Citizen's website.Fitted with Citizen's Eco-Drive movement, the watch converts any source of light, natural or artificial, into usable energy which is harnessed within a special power reserve to keep the timepiece charged and running properly, meaning that if properly maintained, it should never need another battery!